The past few days have been spent cleaning out the blue box that contains my instruments. I removed everything from the box, cleaned and examined the contents for damage and wear, and then carefully returned them to their places. The box itself has taken some damage over the years and is in need of some minor repair work, which I hope to be able to accomplish soon. The long top shelf in the middle section is lose and wants to sag under the weight of the tools that are stored there. I have a few ideas as to how to go about repairing that problem that will require a little wood-working on MY part. Nothing too strenuous or complex. I would venture that I could effect the repair here in the house with a small hobby saw. 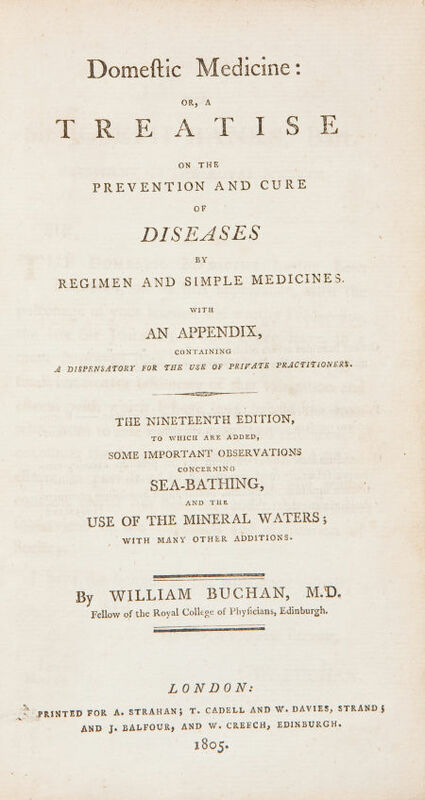 My new purchase of Dr. William Buchan's book, Domestic Medicine, will, I believe, be of great value to me in my coming talk to the Royal College on the 16th. 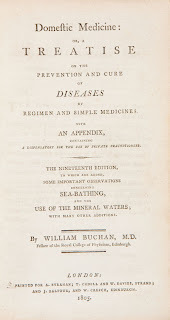 It will no doubt be of great value in the preparation of the small treatise I plan to prepare and have available for those interested parties that attend.